Bradley University Galleries announces a call for artist for the 37th Bradley International Print and Drawing Exhibition, the second-longest running juried print and drawing competition in the country. Every two years it features the best contemporary graphic artwork from around the globe. This year’s exhibition will be held at seven prominent Peoria, Illinois Galleries, The Contemporary Art Center of Peoria, Prairie Center of the Arts, Studios on Sheridan, Illinois Central College, Peoria Art Guild, and on campus at Bradley University at Heuser Art Gallery and Hartmann Center Gallery. Any artist 18 years of age or older is encouraged to submit original prints or drawings produced within the last three years (2015-2018). Experimental techniques are encouraged. Open to all graphic media. The entry fee is $10 per artwork entered, non-refundable. Number of entries is unlimited. The 37th Bradley International exhibition has three major cash awards that will be selected by the juror Janet Ballweg. Ballweg is currently a Professor of Creative Arts Excellence and the head of the Printmaking program at Bowling Green State University in northwest Ohio. 1st Place – $3,000, 2nd Place – $1,750, 3rd Place – $750. In addition, purchase awards will be made by the University. This opportunity will showcase involved artists through their work’s display at seven Peoria partner gallery locations and through the PR efforts of each involved gallery. The public relation efforts include physical mailers, email blasts to members, and social media initiatives. All artists names will be posted and published online on the gallery website. The Gallery Program at Bradley University is designed to create a challenging environment that stimulates discourse among students, faculty, staff, and the public as they explore the range of ideas addressed in contemporary art. The gallery program at Bradley University serves the Peoria and Central Illinois region. There are three formal exhibition spaces, one in the Heuser Art Center where the art department is located, one in the Hartmann Center where the theatre department is housed, and a student project space located on the 2nd floor of the Heuser Art Center building. In addition, every year the Department of Art and Design brings to campus a roster of internationally renowned artists, designers, and critics through the Visual Voices Professional Lecture Series, who address the full spectrum of art disciplines. Visiting artists make a public presentation as well as lead workshops, visit classes, and meet with students in their studios. For more information, contact ezellefrow@bradley.edu. Tall Grass Arts Association announces a call for artists for the 63rd Annual Park Forest Art Fair, the second oldest juried fair in Chicagoland. It is known as an exceptionally artist-friendly fair. Artists may apply to exhibit two or three-dimensional fine art or fine crafts. This includes painting, printmaking, photography as well as works in wood, metal, fabric, and jewelry. The jury is composed of three professional artists and includes a professional photographer. Artists who pass jurying also become Tall Grass Gallery Artists. They are eligible to exhibit in the Tall Grass Gallery and have works carried in the Tall Grass Gift Shop. The Park Forest Art Fair offers assistance at set-up and take-down, a breakfast each day, and a sumptuous dinner on Saturday night. Volunteers visit the fair, all day, to provide water and bathroom breaks. Tall Grass offers $3,000 in prize money in the categories of two-dimension artworks, three-dimensional artworks, and jewelry. There are purchase prizes and one special purchase prize for the Tall Grass permanent collection. Artists report that the visitors to the fair are friendly and stop to chat with the artists. The fair is promoted on social media, regional press, and on WBBM and WFMT. Tall Grass receives no portion of sales made at the art fair. Tall Grass Arts Association is almost as old as the Village of Park Forest, having incorporated shortly after the Village. During all those years, it has operated a gallery that exhibits the works of artists. The exhibits change approximately every two months. It operates an art school and the Park Forest Art Fair. Located in a diverse region, the organization reflects and celebrates the diversity of the region in its Board, members, volunteers, and artists. The fair is operated by volunteers who get to know the artists well because of their volunteer activities. For that reason, the $175 booth fee was never raised during the recession. The fee remains in place today and reflects the support the organization has for artists. Unlike most galleries, the commission paid for works sold in the gallery and gift shop is 70%. For more information, contact tallgrassexhibit@gmail.com. 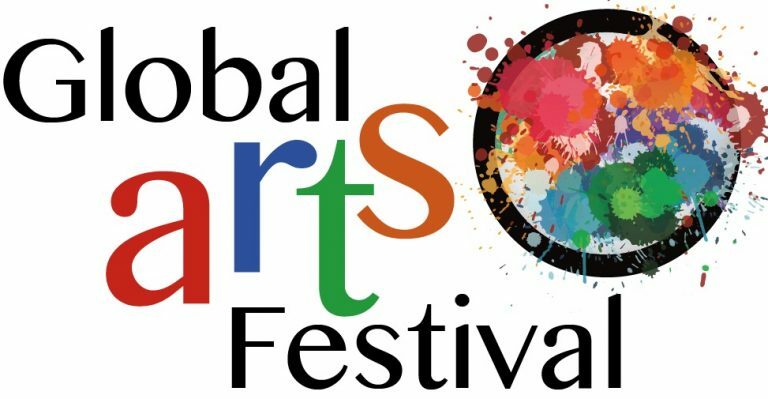 The City of Evanston, Illinois, announces a call for artists for the World Arts and Music Festival, a two-day celebration of global diversity. This year’s festival takes place the weekend of July 21-22 at Dawes Park in Evanston. The World Arts and Music Festival is sponsored by the City of Evanston Parks, Recreation and Community Services Department and partially supported by the Illinois Art Council, a state agency. This free event features art, family craft activities, international cuisine, and live music and dance performances. Attendees will enjoy continuous performances throughout the weekend at two venues. 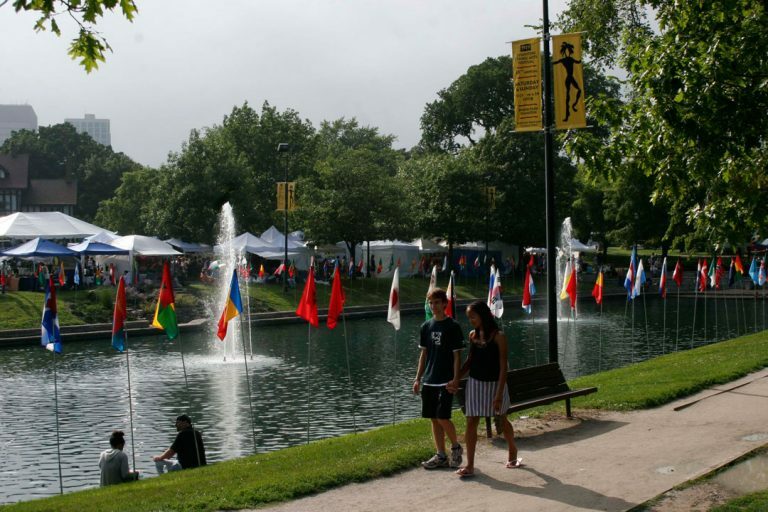 Since 1986, the City of Evanston has presented the annual Evanston Ethnic Arts Festival. The premier event of its kind, the festival is a celebration of cultural diversity featuring over 75 art and crafts vendors from many different regions of the world. Re-imagined and renamed in 2017, the World Arts and Music Festival continues with the tradition of celebrating diversity. Evanston is a diverse and thriving community that borders Chicago. The World Arts And Music Festival is an opportunity for artists, vendors, and performers to share their culture with the estimated 20,000 people who enjoy this annual event. There is a hospitality tent open on both Saturday and Sunday of the festival that provides provisions for participating artist vendors. Food and beverage items such as muffins, fresh fruit, coffee, tea, and water will be available. Home to Northwestern University, Evanston has a variety of excellent higher educational opportunities and a successful public school system. Evanston is home to the world headquarters of Rotary International. Rotary International is the world’s first service club organization. It has more than 1.2 million members in 33,000 clubs worldwide. For more information, contact mtompkins@cityofevanston.org. High Concept Labs (HCL) announces a call for artists for their Sponsored Artist Program Fall 2018, designed to promote the growth of artists and their work through the donation of customizable, no-cost support service. Projects are chosen twice a year and last for a period of four months. The Fall 2018 season runs from August 1st through November 30th, 2018. New in 2018, High Concept Labs’ Summer and Winter Intensives provide artists with a dedicated studio space to develop their projects. Through the intensive, artists have the opportunity to create durational, long-term performances, installations, and exhibitions. Projects that require services to support the long-term development of a body of work and are not geared toward a public showing. Projects are geared toward a workshop-showing after a period of incubation. The purpose of the showing is to gauge the development of the work and see how it changes in the presence of an invited audience. HCL acts as a producing partner to present a formal exhibition or performance for the public. Since its foundation in 2009, High Concept Labs has been providing Chicago artists with flexible, affordable space in which to develop projects and new works. HCL began by sharing space, a warehouse located in Chicago’s Bucktown neighborhood, that artists could use to develop their projects. Over the course of its first year, HCL evolved into a full-fledged arts service organization, assisting artists with administration, publicity, and production. From inception, HCL’s goal was simple: to grow art. In 2010, HCL created the Sponsored Artist Program, a four-month residency program available to selected artists from a range of artistic disciplines, designed to provide customizable support services. The program serves as HCL’s artistic foundation. Program applicants submit a project or proposal which they would like to develop during their residency. Vetted by HCL’s Artistic Advisory Council, artists accepted into the program receive access to a 2,000 square foot studio space; artistic, marketing, and event support; equipment access; and documentation services (photography and video) at no cost. For more information, contact billie@highconceptlabs.org. 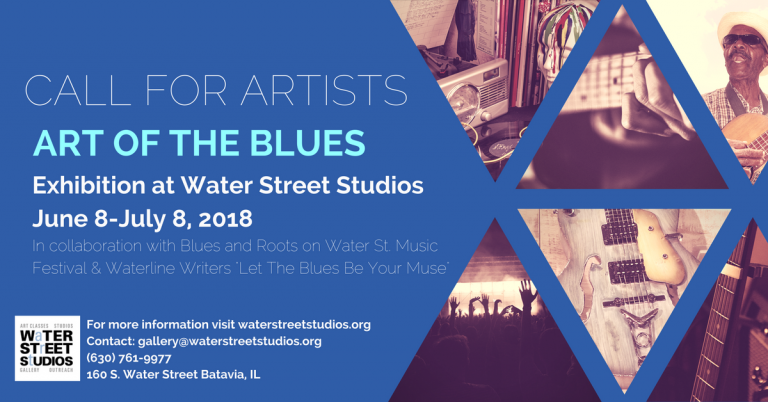 Water Street Studios announces a call for artists to enter Art of the Blues, a juried exhibition of 2-D and 3-D art inspired by or relating to blues music. The timing of the gallery exhibit will correspond to the annual Chicago Blues Festival (the largest free blues festival in the world) and the 3rd Annual Blues & Roots on Water Street Festival held on June 9, 2018 attracting 300+ blues enthusiasts to Water Street Studios. The Water Street Studios Gallery Committee will award a $500 prize for the artist that wins Best of Show. Notice of acceptance: May 11, 2018. This award will be juried by the Gallery Committee and announced at the Gallery Opening Reception on June 8, 2018 from 6-9 p.m. Exhibition on display until Sunday, July 8, 2018. Water Street Studios often has an estimated 500 individuals that visit their galleries on a monthly basis. The Batavia Artists Association at Water Street Studios incorporated as a 501c3 nonprofit arts organization in the state of Illinois in 2009. Their mission is to help make the arts accessible to the Fox Valley area and beyond. Their vision is to be a cultural hub in the Midwest. The Gallery program offers 24 exhibitions annually exhibiting an estimated 200 local and regional artists every year in both The Dempsey Family Gallery and The Kane County Chronicle Gallery. Our Education program provides art classes for ages five to over sixty-five in a variety of mediums including drawing, printmaking, painting, ceramics, metal-working, and jewelry-making. The Outreach program offers free art instruction for low-income families at Batavia Apartments and provides free arts programming to the surrounding community through over thirty strategic partnerships including local nonprofits, senior centers, public libraries, park districts, and local businesses. Water Street Studios has 26 artist studios for artists to work in a highly creative and collaborative environment. Resident artists are given the opportunity to exhibit, sell artwork, teach classes and workshops, and participate in on-going events and fundraisers to further their own artistic businesses and passions. For more information, contact gallery@waterstreetstudios.org. The Chicago Lighthouse is hosting a public art display, Lighthouses on The Mag Mile, and invites artists to participate. Chosen artists will design a provided fiberglass lighthouse sculpture, 6 foot tall by 30 inches in diameter, for The Magnificent Mile. The sculptures will illustrate what it means to be a beacon for access and inclusion for people with disabilities. Chosen artists for Lighthouses On The Mag Mile will receive a stipend of $750.00 for completing the project. Their work will be installed on The Magnificent Mile from June 19 – August 11, 2018. The artist name(s) will be on a plaque attached to the sculpture for the exhibition. Artists names and bios will be shared on a mobile app. All artwork, design materials, and artists’ statements may be used in print and electronic media for the purposes of promoting and publicizing The Chicago Lighthouse Public Art Display and may be reproduced in a book, itinerary, or other publications and communications developed by The Chicago Lighthouse. The Chicago Lighthouse is a world-renowned social service organization serving the blind, visually impaired, disabled, and Veteran communities. Recognized as a pioneer in innovation since 1906, The Chicago Lighthouse provides vision rehabilitation services, education, employment opportunities, and assistive technology for people of all ages. Through 39 unique programs and services, the organization helps clients optimize remaining vision, meet developmental and educational milestones, find employment, and lead more independent lives. In 2012, The Chicago Lighthouse expanded to include a location in Glenview. The new location offers comprehensive vision care services to patients and clients in the north and northwest suburbs. Each year, The Chicago Lighthouse serves more than 67,000 people. For more information, contact callforaritsts@chicagolighthouse.org.